Through trial and error with my gut, I've found that my body to this day still can not eat conventional dairy. I consume grass-fed whey - no problem. I drink raw milk - no problem (which I know is hard to find in the city, but I can get in the summer at farmer markets or when I'm in VT). I eat grass-fed cheese - no problem. BUT when I try to consume conventional dairy (even if it is organic)... my body hates me. Wonder how you know if you have an issue with conventional dairy? Most likely you'll become bloated, gassy and/ or be running to the bathroom. Your stools don't lie! Last summer I was on a mission to find a quality protein shake that I could consume again. 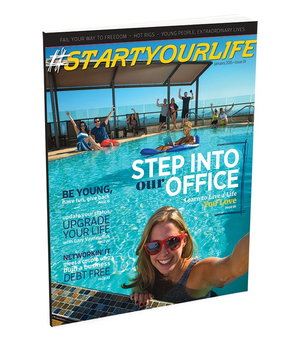 Before ordering and trying Isagenix I wanted to do some research to make sure this was the best option for me. As I was researching other protein shake companies, I had a hard time finding whey quality facts on their websites. Like with many other companies who's products I wish to try, I called their corporate lines to confirm their quality. I explained to them I had a severe allergy to gluten and corn and I needed to know where their whey was sourced. My research was discouraging as I found it near impossible to get straight answers. With one particular company, I was on hold for 15-20 minutes until the women came back on the phone and said "sorry we can't disclose that information to you, it is proprietary." She then proceeded to tell me that I should just try their vegan option. I reminded her that I couldn't have any grain, so that wasn't an option either. Based on the lack of information provided, I decided that it wasn't even worth trying. 1. Where is your protein sourced? Is it 100% whey protein? Is it coming from commerical or grass-fed cows? One particular company reminded me that the protein they use in their shakes is a bulk commodity item, as is for most protein supplements on the market. I laughed at this response as I'm well aware that most protein supplements on the market come from bulk commodity dairy, which is exactly why I reached out to them to confirm. I guess it was wishful thinking to think a big, corporate company would put quality first! We all know every time we cook our food we are taking out some of the nutrition. Just like overcooking our vegetables decrease the amount of vitamins and minerals, the same happens when the whey in protein is heated. Whey can be extracted from milk in many different ways, but when it is done with acids or salts, and heat (which is what most manufactures do), it denatures the whey, causing the whey protein to have less nutrition. Isagenix whey is undenatured. They spend millions of dollars more to extract their whey protein by a cold-membrane filtration. This produces a higher quality protein that helps build healthy muscle tissue. Dr. Colgan explains more of the process here. I believe that not all processed foods are created equal, and simply reading a nutrition label isn't going to give you all the information you need to know on the product. 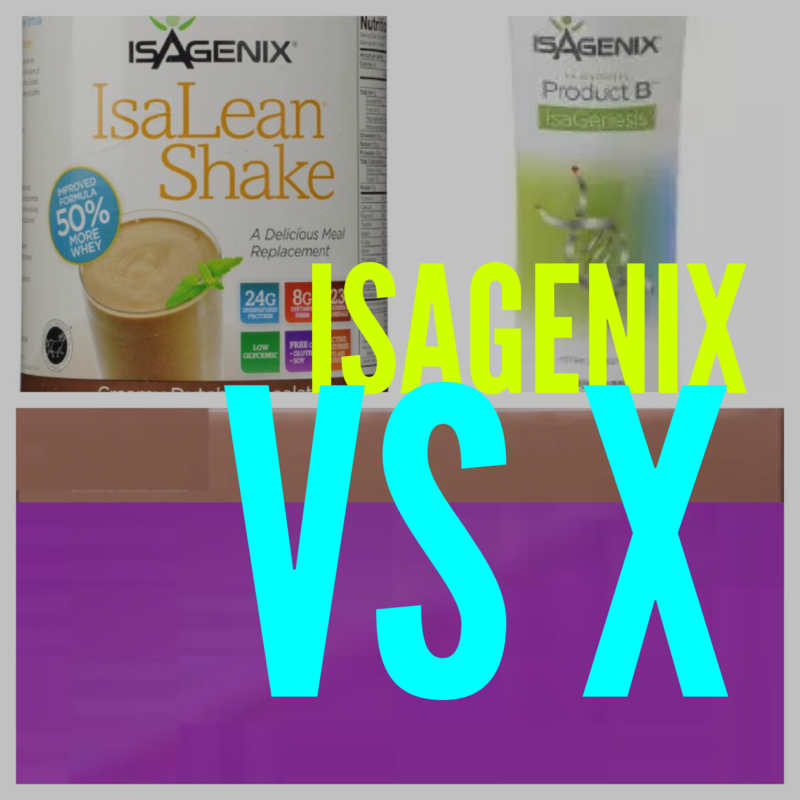 For example, when I saw Isagenix shakes had fructose in them, I called the manufacture to understand where it was sourced from. I wanted to know if their fructose was synthetically derived from something like corn syrup, or if it was coming from real fruits and vegetables. Obviously it comes from the latter, as I wouldn't be recommending them if it wasn't! You'll never see "corn syrup" in any product created by Isagenix. They are all about quality and only source their products from real foods. Again, many other protein companies are lacking quality as they are putting one of the worst forms of sugar in their shakes and protein bars - "corn syrup." Just as an FYI -- corn syrup is the same thing as high fructose corn syrup. I took this out of my diet 5+ years ago and I HIGHLY recommend you do too -- regardless if you need to be #TrueGlutenFree or not. Another thing I didn't like about most protein companies on the market, is that their products contain artificial flavors. Again, a warning that they lack quality, as artificial flavors are never coming from a real food source. There can however be a difference between artificial flavors and natural flavors. It gets confusing because they both could have the potential of being synthetically derived and not coming from real food sources, BUT natural flavors sometimes does mean they are coming from real food sources. As a consumer this is something I get frustrated by as our food standards and labeling is misleading and has too many gray areas. This is why whenever I consume something frequently from a package, I'm calling the manufacture to confirm their quality standards as NOT ALL PROCESSED FOODS ARE CREATED EQUAL. During my healing journey I feel like I developed a degree in reading nutrition labels! As a general rule of thumb, I've always said "if a food is advertised, you probably shouldn't eat it." A few months ago I started noticing other protein shake companies doing commercials. AND it wasn't even during the late night infomercials that you are used to seeing, it was coming on during prime time TV while watching the news. Again, another sign this isn't a food that I'd have as a staple in my diet. 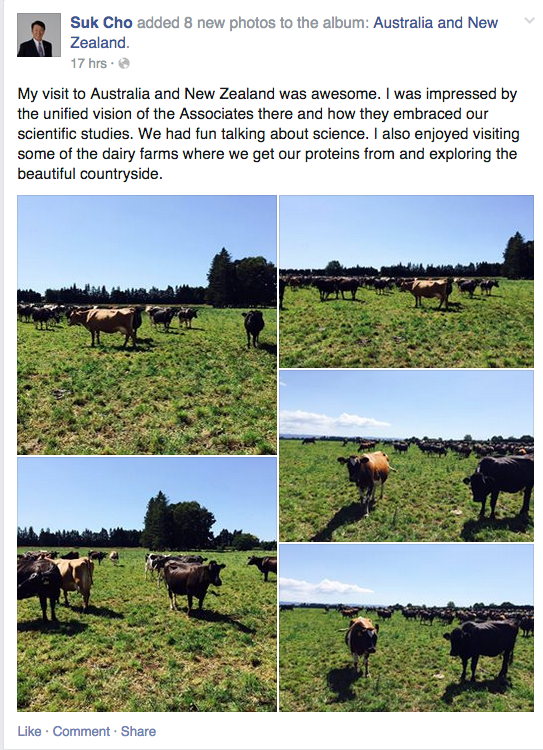 I'm Facebook friends with Dr. Suk Cho, Chief of Science at Isagenix and he posted these pictures last week from his recent trip to New Zealand. As consumers, I think it is important to understand what factory farming is. Before I was educated on this topic, I was supporting factory farms. In fact, it has only been the past 3 years that I've stopped and will no longer support them. Eating out has become difficult for me, as I know unless I am at a farm to table restaurant, I am supporting factory farms. It is also a myth that CAFOs (Confined Animal Feeding Operations) are farms, not factories. If you are consuming conventional dairy from your local grocery store or 99% of whey on the market, than you are supporting CAFOs. WARNING: The following video is disturbing, so you might not want to watch it. If you are someone suffering from inflammation, IBS, any gut-related issues, or other autoimmune diseases, than I do not feel that THE MAJORITY OF PROTEIN SHAKES are safe to consume. After researching the top network marketing companies that provide protein shakes, I only found one to be #TrueGlutenFree. 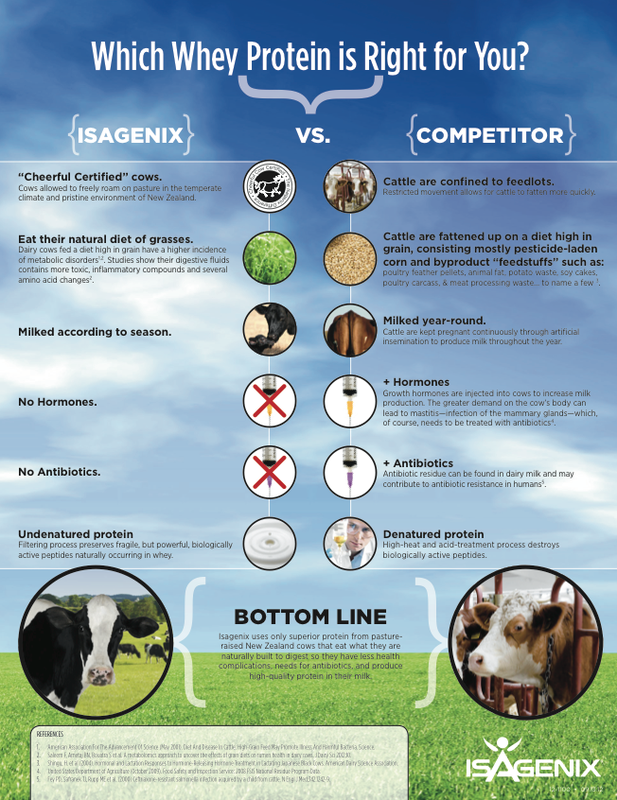 If you have celiac disease, are non-celiac gluten sensitive, or just gluten sensitive then you do not want to be eating or drinking milk from grain-fed cows. Alternatively, if you do not want to support factory farming and/or simply want to put more quality whey in your body that can help attain your weight loss and fitness goals, then you should stop consuming conventional dairy. Grains and corn are not digestible for cows and causes inflammation in their bodies, which then passes on to you. 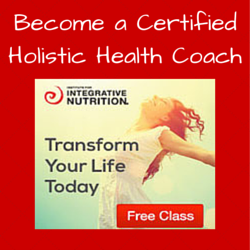 When I took grains and corn out of my diet to this level, it was life changing for me. Is your protein 100% whey protein? Keep in mind that soy protein is a lesser quality protein and is often added as a filler. 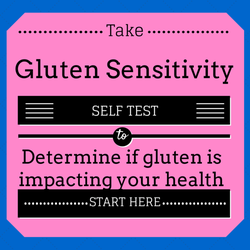 I HIGHLY recommend avoiding if you are gluten sensitive, have IBS, thyroid, or other hormonal imbalances. Where is your whey sourced from? Does it come from commercialized dairy or is it grass-fed dairy? Remember if it isn't grass-fed, then you are most likely supporting CAFOs and factory farming. If the answer is no, then you know you are consuming a lesser quality product, and is a red flag. Do you have corn syrup in your products? If the answer is yes, I trash it! Do you have artificial flavors in your products? This is a fake additive that isn't derived from real foods. If it has it, then it is a warning you are consuming lesser quality products. Do you use natural flavors? If so, are they derived from real food sources? Remember any product that has corn syrup isn't #TrueGlutenFree and is a red flag it is lacking quality. High quality manufactures will source their natural flavorings from real foods. When researching protein shake companies, the first question I ask is "does your whey come from grass-fed cows." If the answer is no, then you know their quality is lacking and there is no reason to research their other ingredients for quality. I believe the reason Isagenix has been growing exponentially is because their company is founded on quality and integrity. As consumers become more educated and informed on this topic, they are demanding quality. For those of you that know me, you know I'm the crazy girl that even feeds her dog homemade, organic, grass-fed food. My passion is to educate my friends and family in protecting their bodies, and show them the power of food being your medicine. If it isn't something that I'd feed to my family (or dog! ), I'm not going to recommend you feed it to yours. Remember every time you make a purchase you are voting. What are you voting for? Have more questions? I'm happy to chat!